Breast Implants: Over or Under the Muscle? Breast augmentation is a procedure designed to increase the fullness and projection of the breasts, and it is often performed using breast implants. This surgery has helped a multitude of women achieve the larger breasts they desire, with approximately 286,000 breast augmentation procedures performed in 2012 alone. This procedure can also improve the shape and firmness of the breasts, which is often desired by women after pregnancy and breastfeeding. There are many options to choose from for breast augmentation with implants, including implant type, shape, surface texture, and projection, incision location, and implant location. For the implant location, a “pocket” is created within the breast tissue either in front of or behind the chest muscle (pectoralis major) to hold the implant. 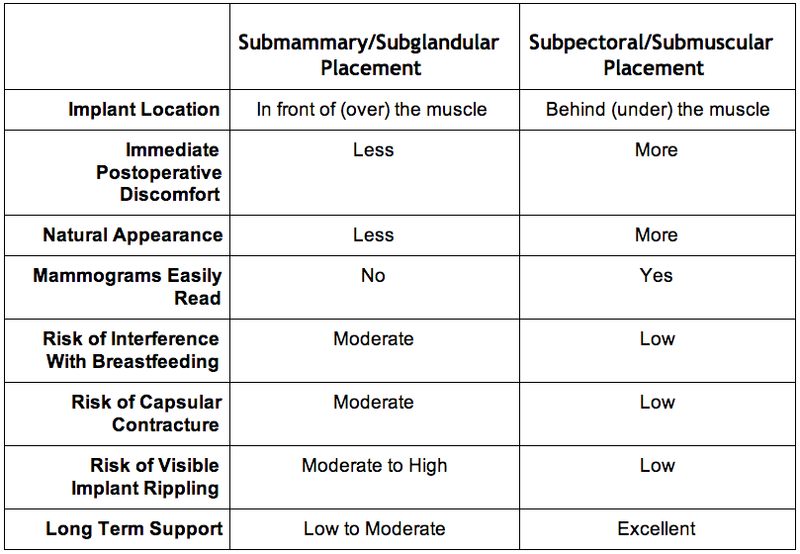 Each location has particular benefits as well as disadvantages, but because of the significant advantages of submuscular placement, Dr. Turkeltaub generally recommends this implant location. Dr. Turkeltaub will explain the options available in detail and help you make the best decisions based on your individual needs. He will take into account your tissue characteristics and your aesthetic concerns in order to achieve the breast augmentation results you desire. If you are interested in breast augmentation in Arizona, Dr. Steven H. Turkeltaub is available to meet your needs. Dr. Turkeltaub is board certified by The American Board of Plastic Surgery (ABPS) and is a member of many prestigious medical societies. To schedule your consultation at the Arizona Center for Breast Surgery, please call (480) 451-3000 or fill out our online contact form today.